Everyone at the office knows that I am in love with two things: chevron and owls. Recently, I relocated and as a birthday/housewarming gift, my mother, Susan Collorafi, made me this beautiful, colorful and inspiring table runner and guess what?! It has my two favorite things TOGETHER: chevron and owls! How awesome is that? My mother is also the one who ever so patiently taught me how to crochet. (Thanks, Mom!) 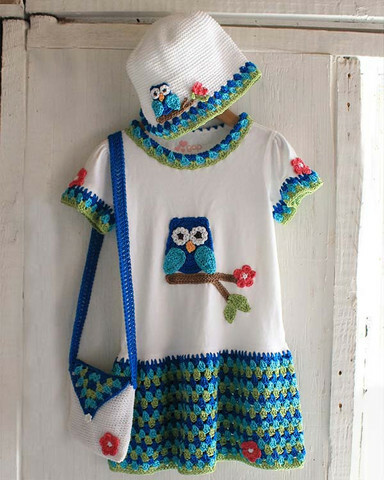 When my owl and chevron obsessions meet crochet, this is what we find. 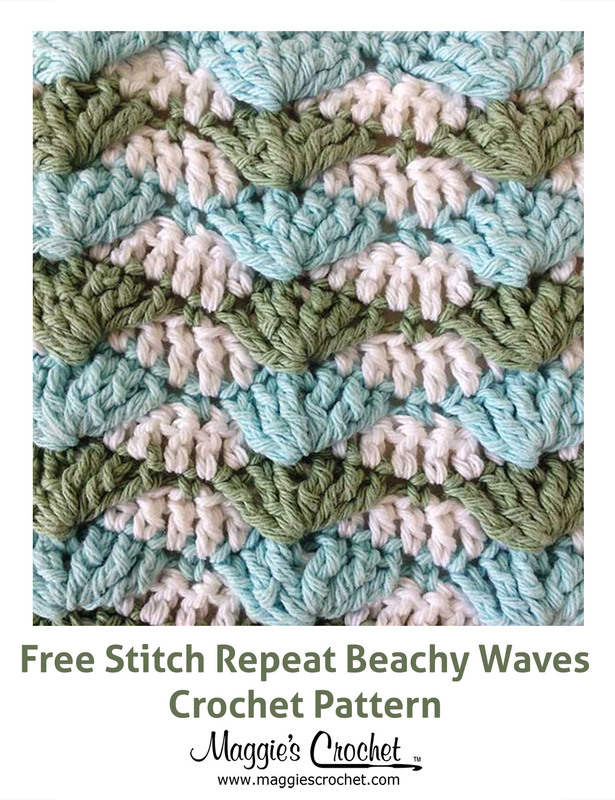 Get ready because I have some great patterns to share that I think you’ll love. 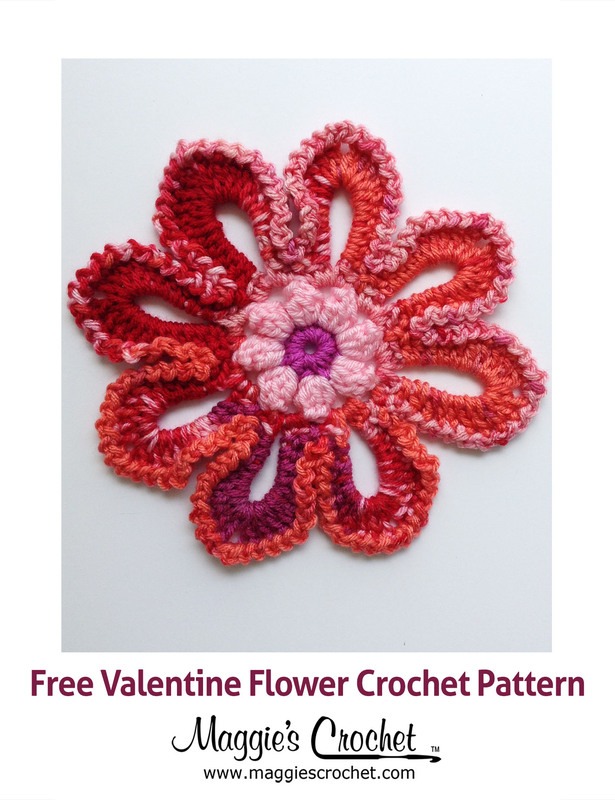 If you are interested in any of the patterns shared here, you can click on the images for more information. 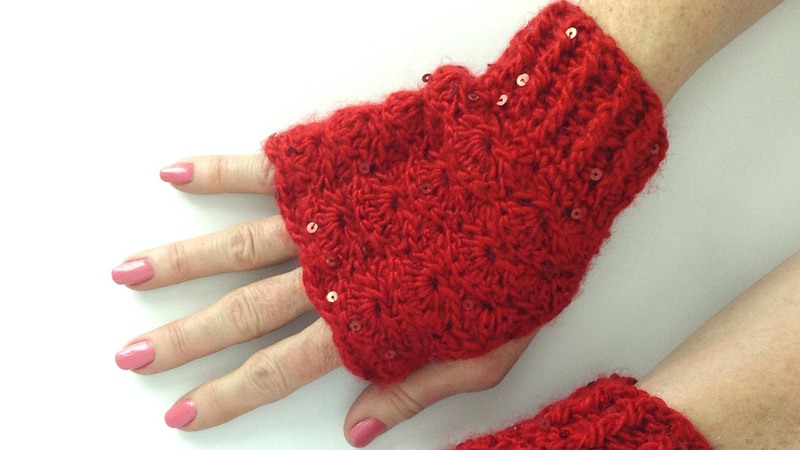 This new vintage ripple set was recently designed by Maggie. You can’t go wrong when you wear chevron. 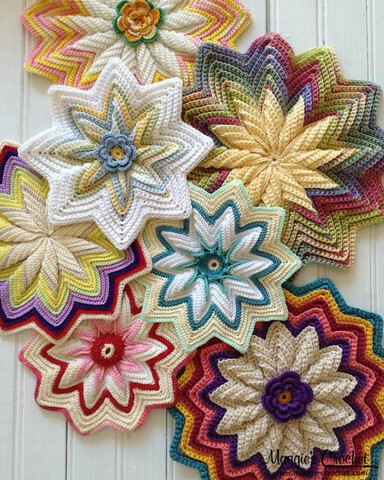 These scrap potholders and mats are so amazing that I actually gave my mother this pattern as a Christmas present. 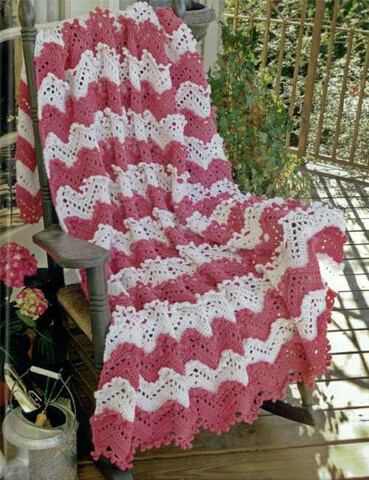 I love this baby afghan and matching pillow. It’s a perfect gift for an expecting mother! 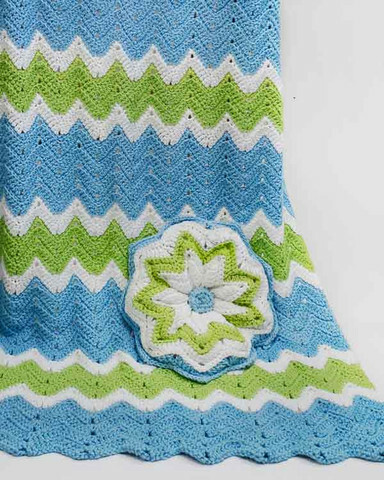 I love the chevron design in this afghan but I also love the texture. 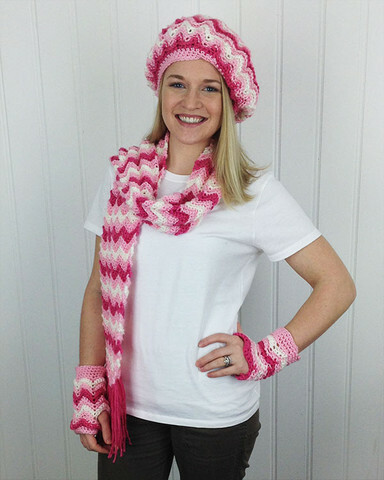 The pattern for this afghan is available in a collection book of Maggie’s afghans. Every store that I walk into, I am drawn to EVERY owl I see. You could say that I am owl obsessed. The image of the owl has been becoming increasingly popular. 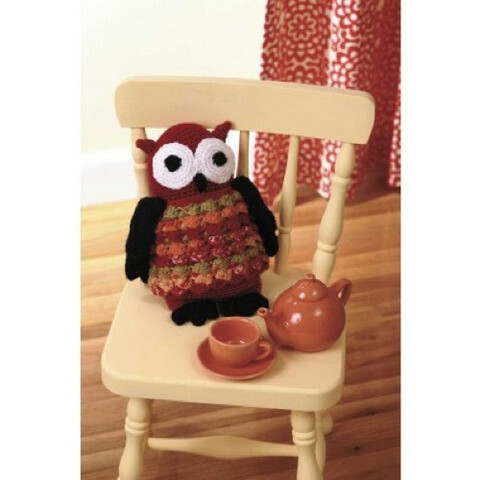 Over the last few years, owls have been rapidly showing up in fashion and home decor. There are a surplus of cute owl designs that have been spotted on anything from clothing to wallets to jewelry to bedding to pillows and even lamps and this list doesn’t stop here. Despite their growing popularity, the image of the owl is actually very symbolic. The owl spirit is representative of wisdom and intuition; owls are said to see beyond deceit and to see what others do not. The presence of an owl is also symbolic of change or life transition. Now I don’t know about you, but this makes me want to crochet some owls! 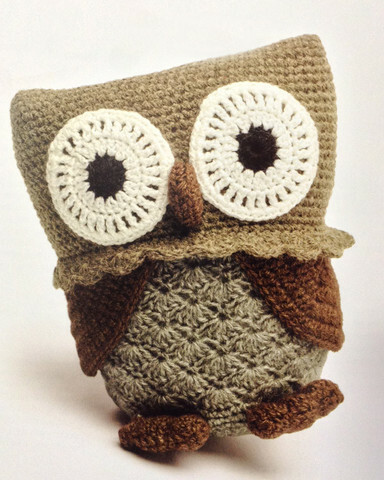 The Everyday Crochet for All book has this cute crochet stuffed owl pattern. 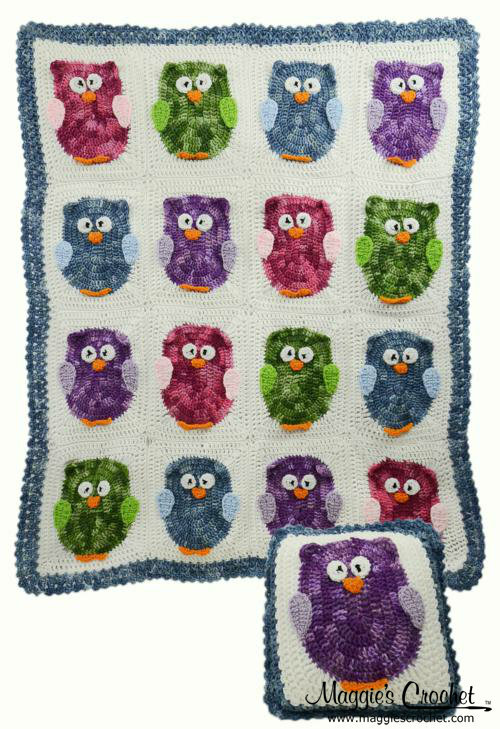 Can I get a “hoot” for this adorable owl afghan and pillow set? 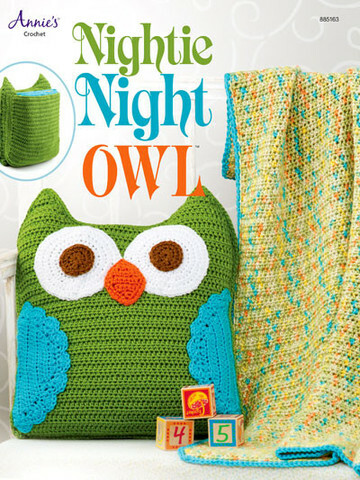 This Nightie Night Owl holds a blanket in the back. It’s so funky and functional! 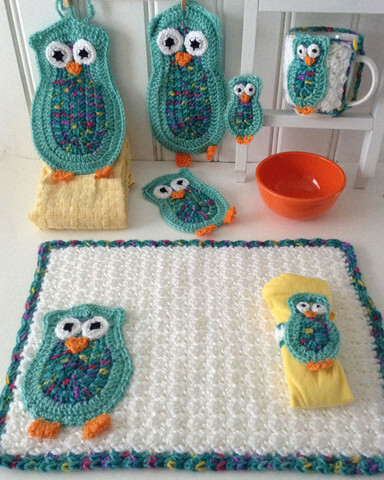 I absolutely LOVE this owl kitchen crochet set. The owls are perfect and the colors are so vibrant and cheery. The colors and the owls are the perfect Spring ensemble. The trim even has a chevron quality. This brown owl is in the Crocheted Wild Animals collection which also includes a rabbit, a camel, a frog, a flamingo, a polar bear, and a chameleon. 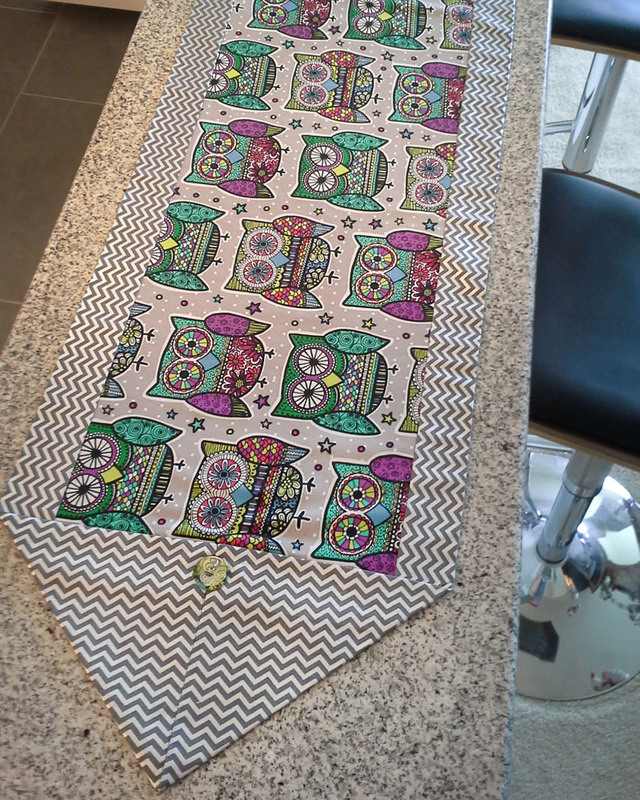 Stay tuned because a little birdie told me that Maggie is busy working on another awesome owl design!